Here it is! As per previous thread this is the one they custom made for me to accommodate the GM Luggage Rack. 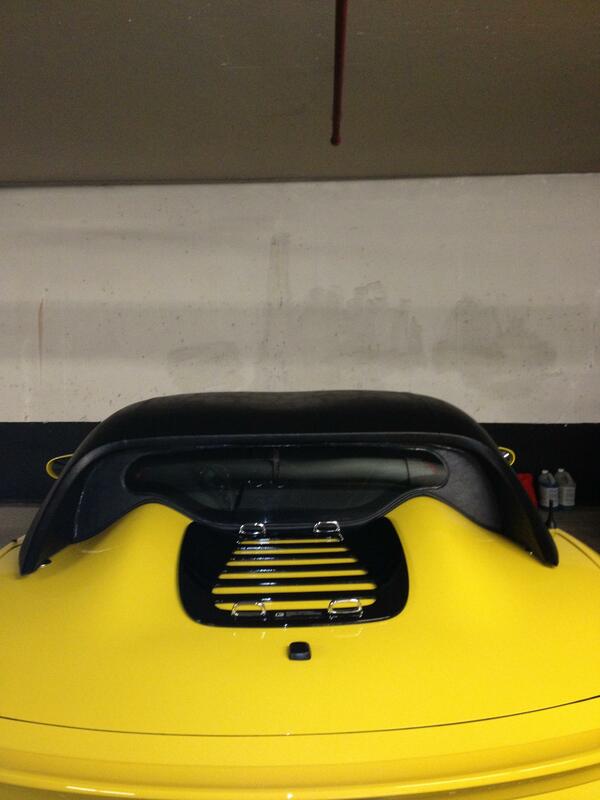 The standard Club Racer Hard Top has the back window coming out about three inches more over the trunk lid. This means you have to remove the luggage rack. 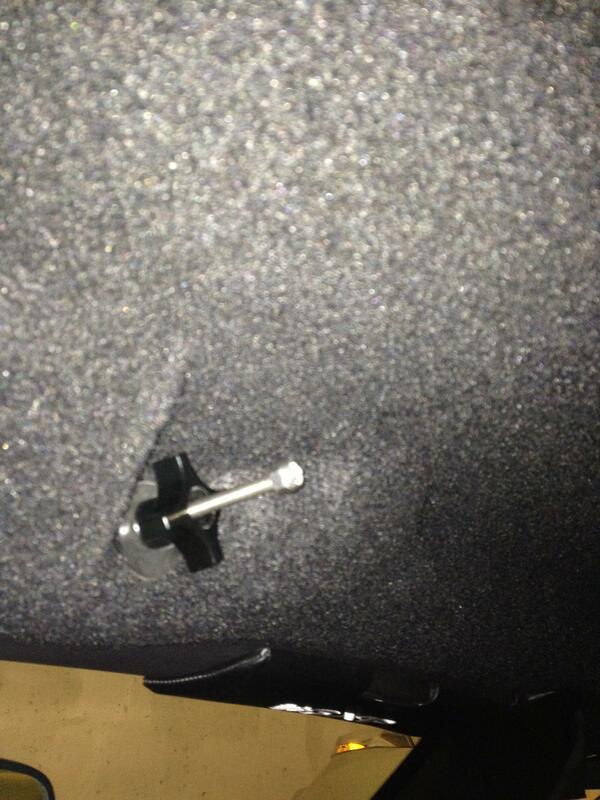 As most of you are aware when you have this top installed you lose access to the trunk. When I went down to Smoothline in April of this year they took measurements and photos to build this one. I love this top. It is covered in Haartz Black Vinyl with glass back window and acoustic liner. She gives the car a more aggressive stance. She looks like a "Racer" in my opinion. It is a quality item! Thanks to Jack and Brain at Smoothline for making this and for those of you with the GM luggage rack you can now use with this top!!! I have already had people come up to me and freak over the car!!! Looks great! What material is the top constructed from? Looks very nice. Good job. Now you are set for winter in the greatnorth! Congrats NS, definitely looks like it was worth the wait. 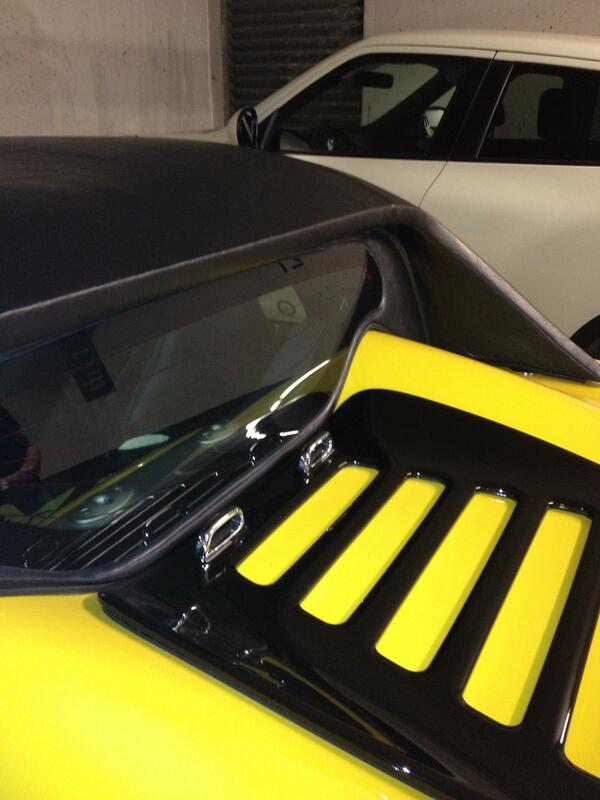 What's the biggest difference you've noticed so far between the new hard top and the vert top? It looks very nice, they did a beautiful mod on the window. Well done! Man, that's such a cool move by the company. Glad to see they're still supporting the market. I've always liked that luggage rack as well. That is how far gone I am when it comes to "mods". My Sol is stored for the winter but I still had to have the hardtop! The cockpit feels bigger and has more light. You really hear music. The monsoon system comes across louder and crisper. My rubber in the weather stripping is still settling so I get a little bit of air noise but still way less noise than with the soft top. Smoothline told me to give the rubber time to compress. 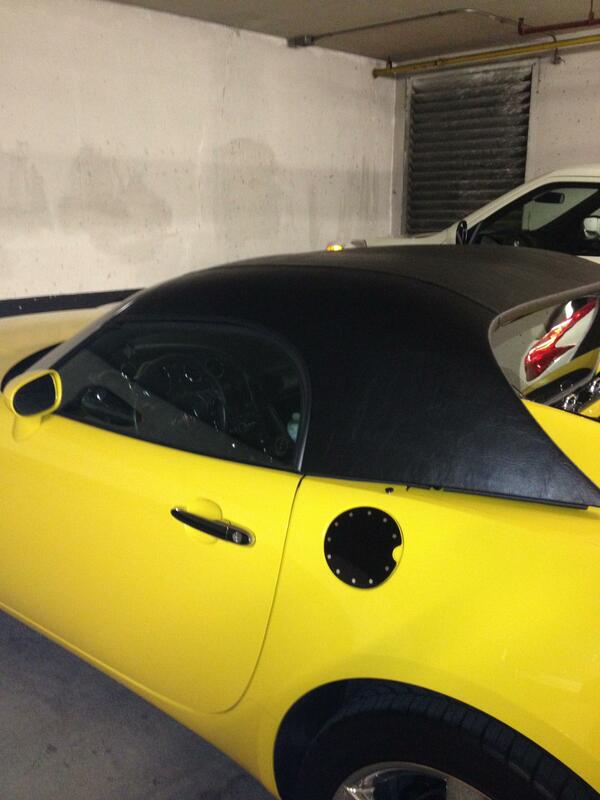 Any idea on how to modify the back trunk lid to allow access with the smoothline hardtop? Looks great! I have Smoothline top for my MGB. They do quality work. I see that you have what appears to be the "rain/gutter guard" around the side windows. Any chance you could take some close up pictures of that and either post or email to me? Also, do the same for the side window seals? 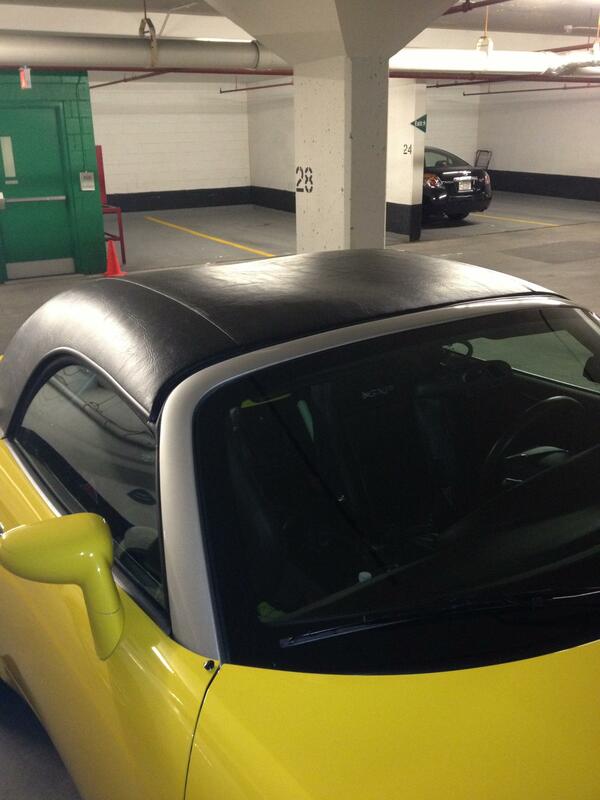 I am thinking of adding those items to my EDAG hardtop, mainly the rain guard. Items can be purchased separately but they are a bit expensive...but isn't everything now-a-days! Very pleased to hear that they went out of their way to modify the top to fit your needs...now that is customer service! You have to remove the top to have access to the trunk. That is why I got them to build me one that allows use of the GM luggage rack. That will be the trunk! Sure, will do some close ups and post tomorrow. I've thought about this for years (was developing a hardtop early on) and the best way would be to modify the hardtop to allow access. My favorite design had the winglets cambering up and over the rear corners similar to the softtop movement but that would be an engineering feat well out of my ability. I feel the simplest way would be to have the winglets completely removable and able to swing with the lid. Integrating a smoothline (lol) between them and the rest of the top would be the key to retain the surface 'flow.' A curved interface that moved along the contours is how I envision it. It hasn't been done because just popping the top to get back there is way easier. I also picked up a hitch and basket for quick storage too but haven't needed it yet. I see that you have what appears to be the "rain/gutter guard" around the side windows. Any chance you could take some close up pictures of that and either post or email to me? Whoa, is that a thing? If I have my windows down the rain just pours right in the front corner. Last edited by idkfa; 09-26-2013 at 03:00 PM.